a spot of whimsy: an outfit post. whatttt? yes, my first official outfit post here on a spot of whimsy. the inspiration for the outfit and thus the post came a few weeks ago when i tweeted that i was debating a cropped leather jacket at h&m and feared i couldn't pull it off. with a little encouragement from jill and sarah and a bit of a whim, i bought the jacket, knowing i'd have to go home and put outfits together i actually felt comfortable wearing out of the house before i could justify it. the problem is that i generally run pretty preppy/classic in the style department, i'm cautious in picking up trends and when i buy something the goal is always to have it for years. i still have some pieces from high school, for crying out loud. so a cropped leather jacket is a major departure from the norm, as silly as that might sound. 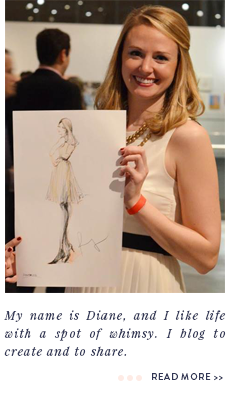 but i was still drawn to it, and i really liked sarah's idea to pair it with a girly dress to balance out the look. side note: am in love with that oscar de la renta sjp is wearing above. i just want to twirl around and around in that skirt. 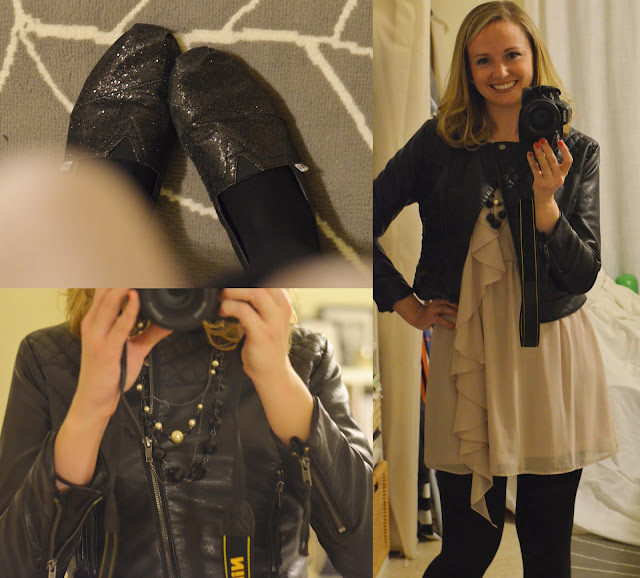 jacket: h&m (similar); dress: h&m winter 2011; necklaces: ann taylor & ann taylor loft, years ago; shoes: toms; tights: commando. Ohh so fun! You look gorgeous, love the outfit! Your outfit is pure perfection with those Toms! Love it! 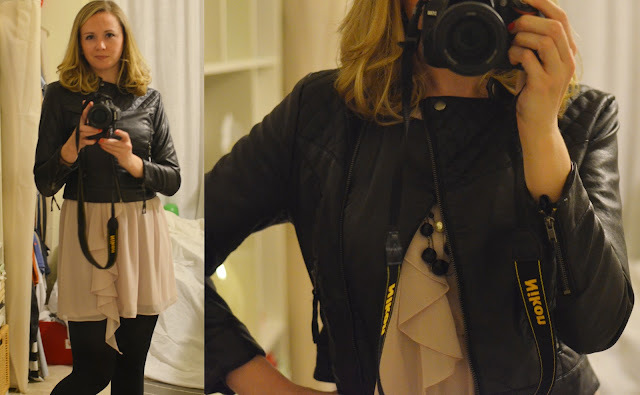 I am not brave enough to do an outfit post ever!!! so cute!! love how you styled it! Ahh, you look so cute! Love the dress, and adore the jacket!